Our Italian language school in Milan offers the opportunity to learn Italian whilst enjoying everything that the city has to offer. Home to Italy's stock market and business centres, Milan is also a world-leading centre of fashion, with a wealth of shopping, theatres, cinemas, bars and restaurants. It is the combination of the vibrant Milanese lifestyle and history that makes Milan a popular destination for those who want to learn Italian in Italy. Milan was once described by our school’s Director as being "off the beaten track of common tourism", meaning that you will quickly feel at home and really be able to take part in daily life in Milan. Milan is a young city which boasts five universities/high education institutes attracting international students from all corners of the world. 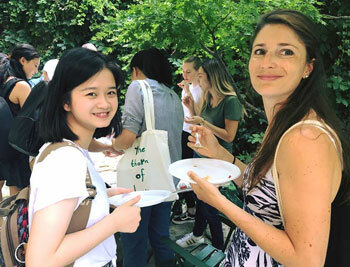 Students at our Italian language school in Milan have a wide range of course options to choose from and can spend their spare time discovering the city’s attractions, such as the Duomo, the second largest church in Italy, and the La Scala opera house, as well as the world famous works of art in Milan’s art galleries. You could even visit the Monza Autodrome, home to the Italian Grand Prix! 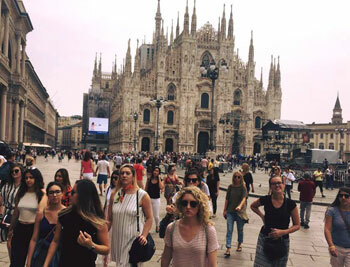 As the city of Milan is famous worldwide as being a capital of design and fashion, then an Italian course at our school has often provided students with a gateway to further studies, or even a career in this area. Our Italian language school in Milan is located in a beautiful art nouveau building in the Porta Venezia commercial district of the city, just a few blocks away from the Indro Montanelli Public Gardens and close to the underground train station "Lima". The school has 18 classrooms with audiovisual equipment, free internet and WiFi access, as well as a common room for the students to meet and relax between classes and a small garden. There is a maximum of just 12 students per class at our school in Milan, ensuring small classes, which are designed to improve your language skills quickly. You need to take a minimum 2-week Italian course at this school. You can choose a general Intensive or Super-Intensive group course, comprised of either 20 or 30 lessons per week, or you could opt for an Intensive course plus Private Lessons if you wish to learn as much Italian as possible during your stay. In this case you would receive 2 private classes each day, in addition to the general Italian classes. One-to-one lessons are completely tailored to meet your own professional or personal needs and requirements and of course you can choose Private Lessons only, if you are not interested in attending any group lessons. For all students interested in fashion design there is a special 4-week Language and Fashion course offered in our school in Milan! No experience of fashion is required. This programme combines 20 Italian language classes with 10 fashion design lessons per week and is an excellent gateway into the fashion design business. An elementary level of Italian is needed for this course, however, as the fashion design classes are held in Italian. 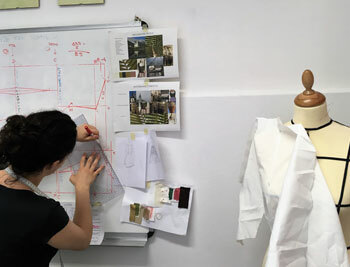 Students will learn how to compose a collection of technical drawings and fashion sketches, whilst learning techniques regarding proportions, colour schemes and precision. You will be taught how to express creative ideas, whilst paying attention to detail. There are specific start dates for this course - please check with one of our Language Travel Advisors for full details. 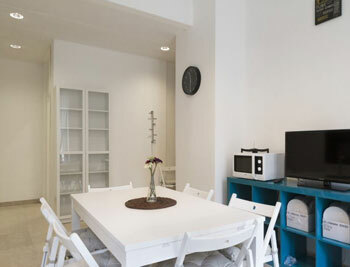 Our Italian language school in Milan arranges accommodation in self-catering apartments, shared with other international students, in the student residence and with carefully selected Italian host families. The Accommodation Officer visits the homes regularly, making sure that a high standard of service is offered by the host families, and advises all students who want to learn Italian as quickly as possible to choose this type of accommodation in Milan. Your host will speak Italian with you during your stay and so this is the ideal way to practise what you learn in an informal atmosphere! 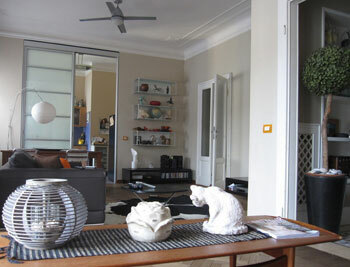 If you wish to be more independent then you can opt instead for a room in a furnished shared flat. Single rooms or twin rooms are available (for two students who are arriving together) and you will share a kitchen, bathroom and living area with two or more other students. 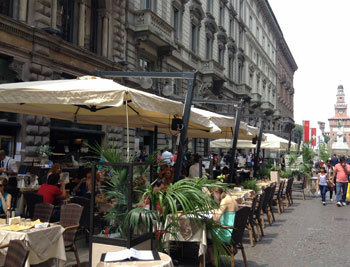 Our school in Milan also offers accommodation in two different residence buildings. The standard residence is located 20 minutes distance from the school by public transport. There are 60 rooms in total, all with a private bathroom, air conditioning and heating. There is access to laundry facilities onsite, with washing machines and dryers (pay per use). On each floor in the residence there are shared kitchens and living areas for students to prepare their meals either separately, or together with friends. There is also a very reasonably priced snack bar with a garden, where you can buy both hot and cold meals throughout the day. The residence building has a roof terrace for students to relax, as well as wireless internet access. Both bed-linen and towels are provided and are changed each week. The residence plus option is more modern and considerably more luxurious than the standard residence in terms of decor and facilities and is also located just 20 minutes from the school in Milan, close to the central train station. Each single room has an adjacent room and a shared bathroom (or you can book a private bathroom at an additional cost). The residence is purpose-built with modern facilities such as a self-service buffet restaurant, free gym, and modern rooms with free WiFi throughout the building. There are common areas including a shared lounge with reading corner and newspapers and a billiard table. Free private parking is also available in this residence for students who wish to bring a car. 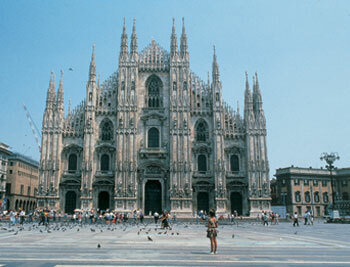 The centre of Milan is just 5km away. To help you make the most of your time in this wonderful city, our colleagues at the school offer an optional activities and social programme with an average of three or four events each week! There is a special dinner or ‘aperitivo’ arranged to help everyone get to know each other, as well as musical evenings, nights out in the local bars and discos, guided walks in the city centre and lectures in the school, covering various aspects of contemporary Italian society and culture. Art lovers can visit one of the many galleries and museums, such as the Poldi Pezoli Museum, The Scala Museum and of course Da Vinci’s The Last Supper. Italian film screenings are also held at the school and there are often excursions available at the weekends to other places in Italy, such as to Arena of Verona, to Lake Garda and to other Italian cities. Our Italian language school in Milan can arrange airport transfers from Malpensa Airport and Linate Airport, if you would like to be met on arrival and taken to your accommodation. Average score for our school in Milan based on 7 previous client reviews. The staff was really helpful and friendly but what was the best surprise was the professor, Mr. Bruno Pelizzoli. It's been a while since I had such a great teacher. It was a great experience to learn a new language with you, even for a short period of time.